We live in a world where creative skills are in high demand, generously rewarded, yet underemphasized in K-12 education. Understanding the need to better facilitate the migration from teacher-centered instruction to student-centered and student-driven learning, The Pearson Foundation and The New Learning Institute approached Commonstudio as a strategic partner with a serious charge: How might we build creative confidence in young people by channeling their interests through the lens of design? We knew this complex challenge would require a multi-faceted ethnographic approach. How can we tap into intrinsic motivation and create sustainable models rather than discrete projects? 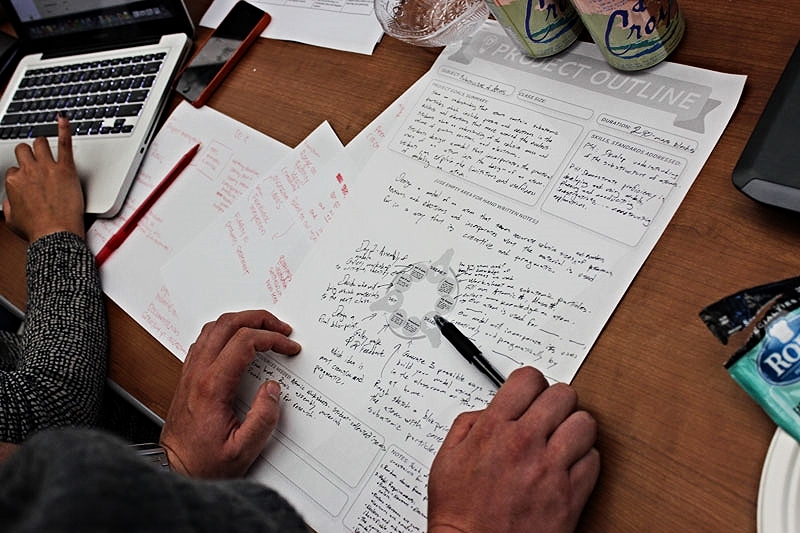 How can we make design process legible to young people and teachers? How can we scale? The first phase of the project was an intensive eight weeks of ethnography and research in which we immersed ourselves in the context of a public school site. We met with and learned as much as we could from students and teachers, to administrators, parents and local residents. In order to understand the needs, concerns and potential role of all stakeholders involved, we conducted interviews and activities that allowed us to actively listen to and carefully consider the diversity of perspectives they represent. This process also allowed us to experience and observe first hand some of the unique challenges of working with and instructing young people. We gained deep contextual knowledge about how they spend their time both on campus and off, their motivations, their aspirations, their feelings about their education, and their community. This resulted in a series of detailed ethnographic reports that presented our findings publicly. Students needed a way to discover, nurture and express their interests in real projects that mattered to them. 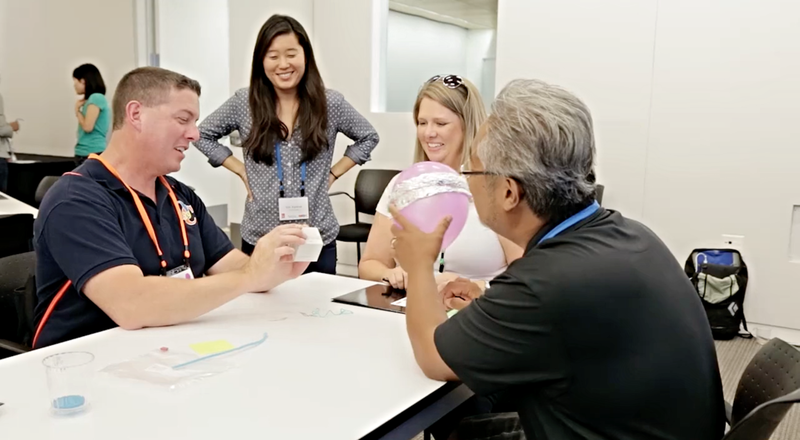 Teachers needed a flexible framework for incorporating their content, and a student-centered methodology for planning, facilitating, and assessing student-centered projects both inside and outside their classrooms. Local communities needed more transparency and opportunities to get involved. After many rounds of testing, iteration, and refinement, Commonstudio developed the “D3” process- a flexible methodology with three phases (Dream it, Design it, Do it) designed to allow for multiple entry points and ease of use for both teachers and students alike. Modeled on the same process used by professional designers across many creative professions, the D3 process encourages divergent critical thinking, creative collaboration, and civic engagement as participants channel their intrinsic interests and motivations into a design solution, and frame challenges as opportunities to impact the world around them. In addition to establishing partnerships at several urban schools and institutions across the country, Commonstudio has developed a suite of digital toolkits and professional development workshops to allow for scalability into a wide range of educational contexts.